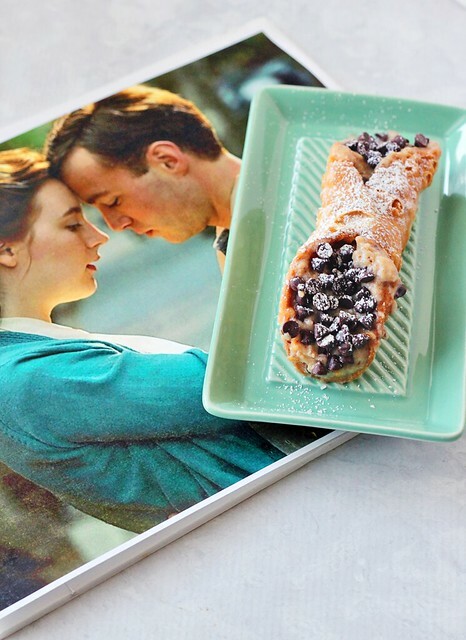 For the past two years, I’ve participated in a recipe round-up of Oscar-inspired treats based on the films nominated for Best Picture; thanks to Haley who is so kind to invite me back time and time again! If you’re a dear friend/long-time reader (or maybe my mom? Hi, Mom! 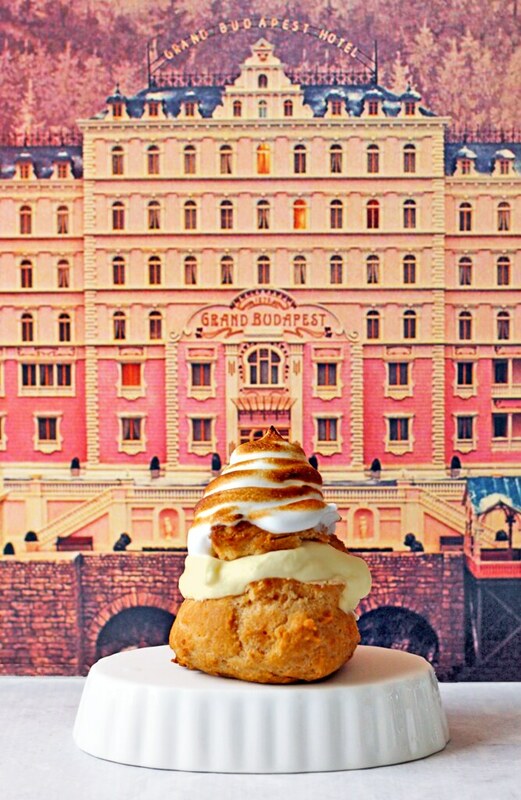 ), you might remember the Lemon Chantilly Cream Puffs I made two years back for The Grand Budapest Hotel or the Chocolate Stout Cannoli I dreamt up for Brooklyn last year. For this award season, I was super excited to be paired with the film, Hidden Figures, which immediately inspired these Galaxy Whoopie Pies! 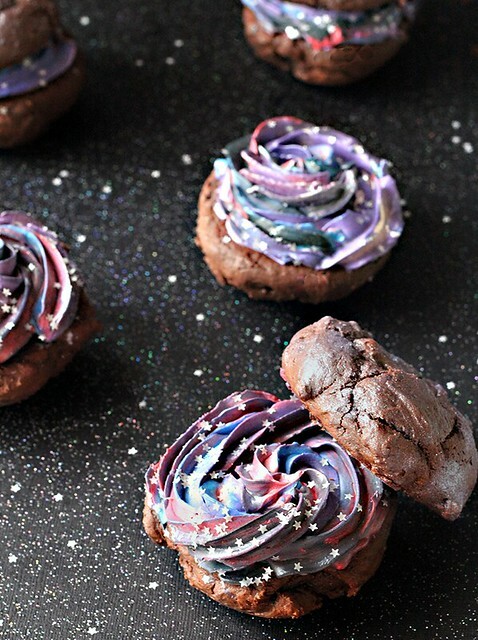 I’ve been wanting to try my hand at the galaxy-themed dessert trend for a while now, but I won’t lie – making homemade buttercream and tinting all those colors both felt a little intimidating and like a lot of work. While delicious work it is, indeed, making those gorgeous, nebulous swirls is easy peasy with the right supplies. But before we get into the merits of gel food coloring and what size and shape pastry tip to use, let’s talk about Hidden Figures for a sec. If you haven’t yet seen it, do – not only because the vintage wardrobe of pencil skirts and fitted cardigans will make your femme heart swoon, but because you need to know this history of Black women in the space program (or at the very least, the three women whose stories are featured: Katherine G. Johnson, Dorothy Vaughan, and Mary Jackson). It’s a feel-good film, which I get sugarcoats a lot more of the racism and sexism these brilliant women, undoubtedly, faced in their careers at NASA. But it also served as a relevant story of strength and resistance for this presently fraught time. It’s definitely worth a watch even if it casts Kevin Costener as the white man savior who wasn’t even a real person in the lives of Johnson, Vaughan, and Jackson. I’m eye-roll-emojiing all over that! 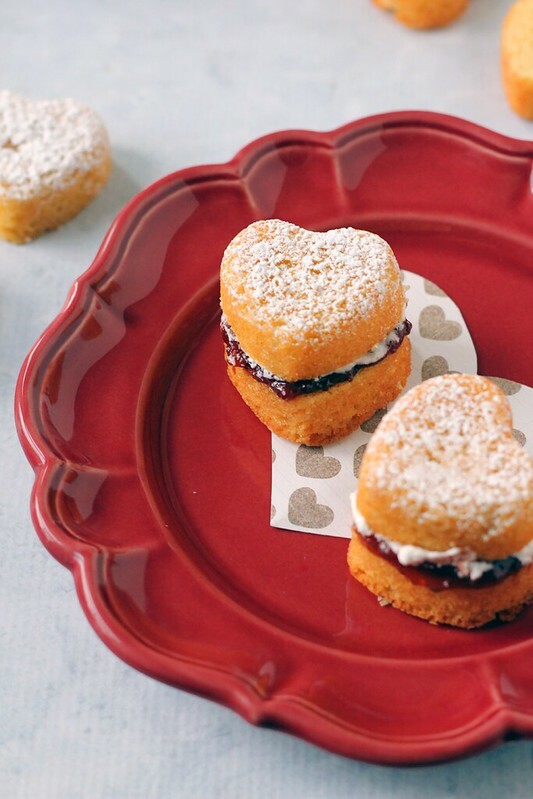 These whoopie pies are delicious, but also really smart texturally: they’re moist in the center, but ever-so-slightly dry throughout to accommodate all of the thick, luscious frosting you sandwich between them. The cake has a deep, chocolate flavor, though they’re only slightly sweet, which is important because that gorgeous filling? That’s Swiss meringue buttercream, the richest, most delicious frosting of all! Yes, it’s also a complete departure from the fluffy, marshmallowy fillings of regular whoopie pies, but stay with me. 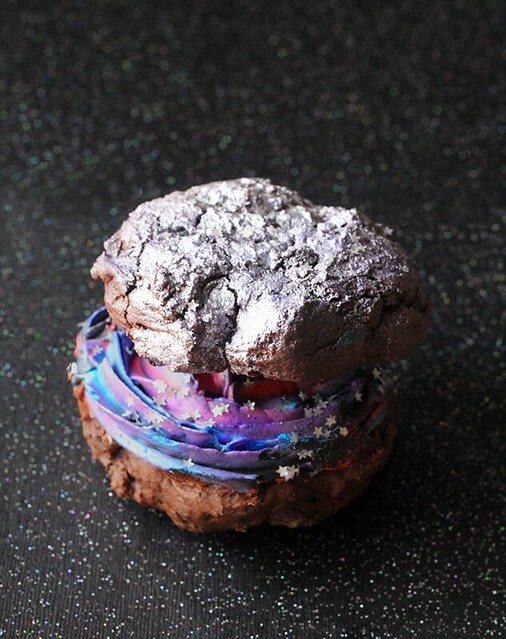 In this recipe, I made a caramel Swiss meringue buttercream that is out of this world and, well, isn’t that just the most appropriate thing considering these are Galactic Whoopie Pies? 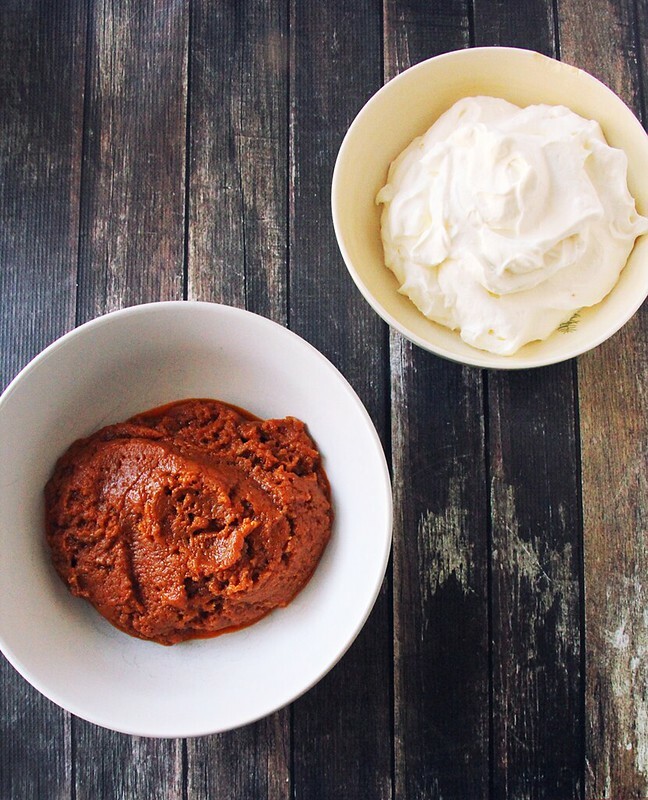 The ingredients here are all ones you would likely have in your pantry and fridge – Dutch-processed cocoa powder, a few sticks of unsalted butter, brown sugar, eggs, and a few other things. Things really only get fancy when it comes to creating those beautiful swirls of pink, blue, purple, and black. To achieve these intense colors, you’ll need to invest in gel food coloring. You could probably get close with the trusty McCormick set of liquid dyes that are synonymous, for many, with Easter eggs, but because they’re liquid, they’ll change the consistency of your buttercream and may even cause it to separate. Gel food coloring isn’t particularly expensive and you can pick it up at most craft stores and, of course, online. 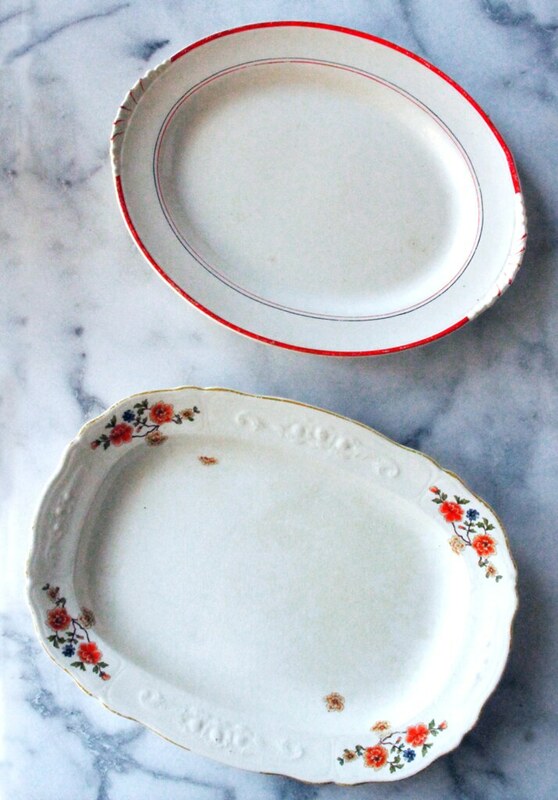 I’ve used my Wilton set for eons and still have a bunch left – a little goes a long way! Because I wanted a great swirl effect, I opted for a large open star tip (#1M by Wilton – I’m not sponsored by Wilton, but I did take a Tuesday night cake decorating class at my local Joann’s a billion years ago and still have a ton of the supplies!) 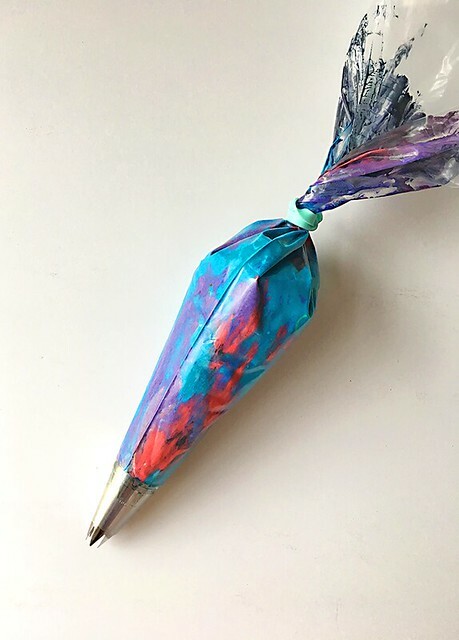 for my pastry bag, thinking the grooves would add a lot of definition and make the most out of all of those beautiful colors. Really, the most difficult part was getting the colors where I wanted them with the food coloring in terms of their depth and intensity. When I was ready to pipe, I simply alternated tablespoons of each color into the bag, used the dull end of a skewer to gently poke through the colors to blend them a bit, and then piped a few test stars until multiple colors came out at once. If you’ve never piped icing before, this is a great way to learn technique and tension, since you’re just piping circles and swirls as opposed to anything too elaborate. Plus, worse comes to worse, you’re going to pop a lid on these anyway! 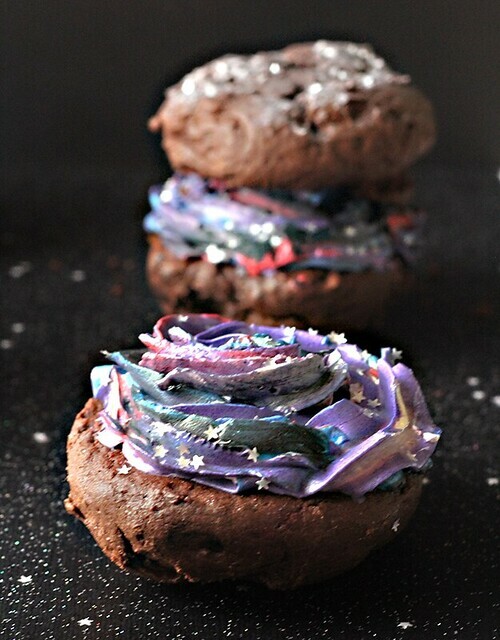 To hammer home these Galactic Whoopie Pies, I played around with some edible pearlescent dust for the lids, as well as some edible glitter stars. I think the dust, in particular, added some visual interest to the lids, causing them to look a little bit like moons and planets with their craggy surfaces. And the stars? 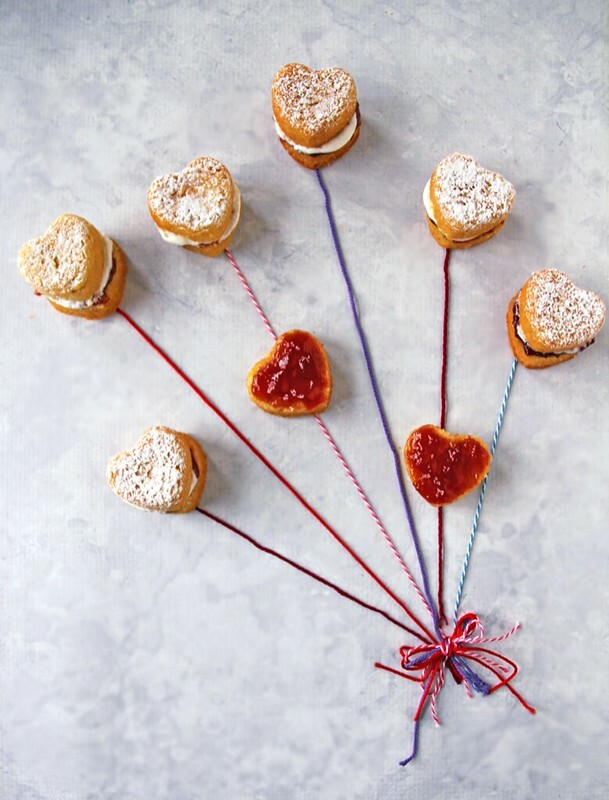 Well, they’re just pretty and make this dessert the perfect centerpiece for your Oscars viewing party. 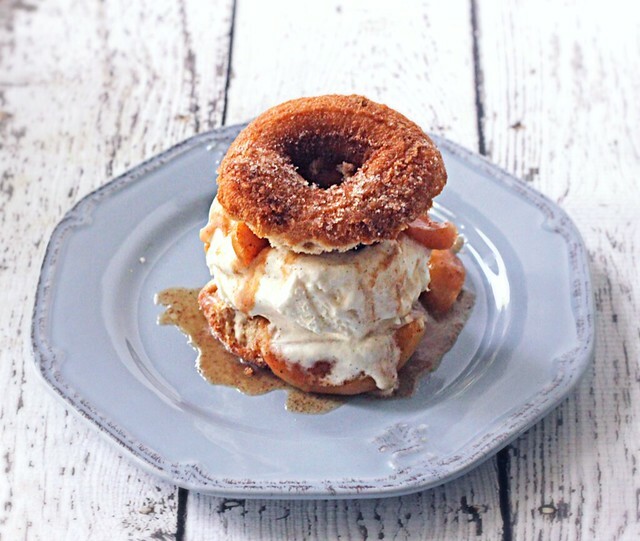 Check out the full list of talented folks taking part in this year’s recipe round-up with me below and happy watching! Yields 8 whoopie pie sandwiches; whoopie pie cake recipe borrowed from here. Preheat oven to 350°F. 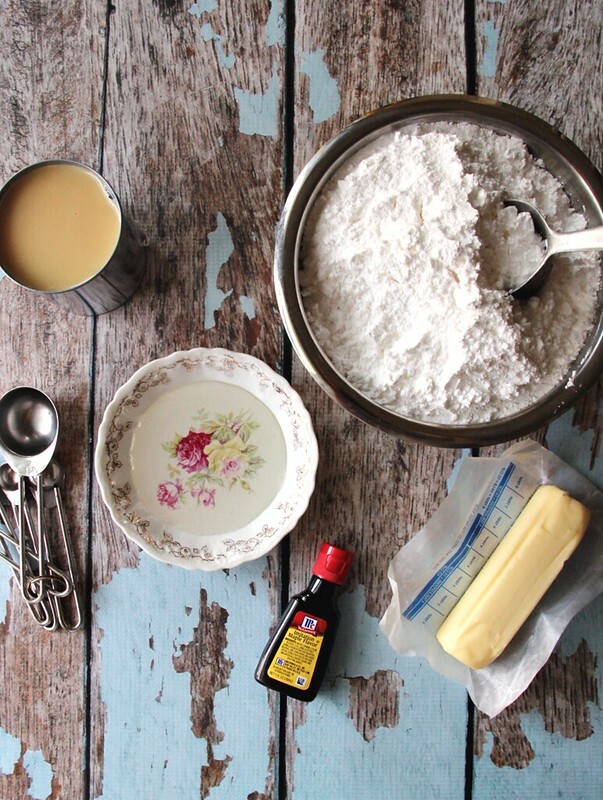 Whisk together flour, cocoa, baking soda, and salt in a bowl until combined. Stir together buttermilk and vanilla in another small bowl and set aside. Beat together butter and brown sugar in a large bowl with an electric mixer at medium-high speed until pale and fluffy, then add egg, beating until well combined. The mixture should be pale and very, very shiny. Reduce speed to low and alternately mix in flour mixture and buttermilk mixture in batches, beginning and ending with flour, scraping down side of bowl occasionally, and mixing until smooth. Spoon level, 1/4-cup mounds of batter about 2 inches apart onto 2 buttered large baking sheets. Gently smooth each mound and spread them slightly with an offset spatula. Bake in upper and lower thirds of oven, switching position of sheets halfway through baking, until tops are puffed and cakes spring back when touched, 11 to 13 minutes. Transfer to a rack to cool completely. 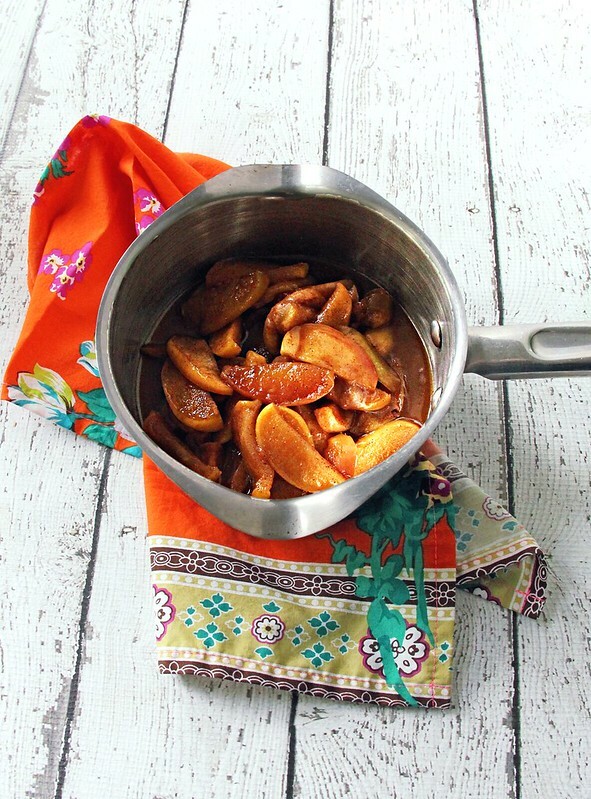 First, make the caramel by adding sugar into a small saucepan with enough water to give it the texture of wet sand. Cook the sugar and water mixture on low heat until it has dissolved, then raise the heat to high and let cook until it turns golden. Swirl the pan gently, intermittently, but do not stir or attempt to stir in crystalized bits of sugar on the sides of the pan, as it could cause the caramel to seize. Don’t walk away during this stage as the sugar can burn very quickly. While sugar is cooking, add cream to a microwaveable bowl or cup and microwave for 30 seconds, just until it begins to warm. 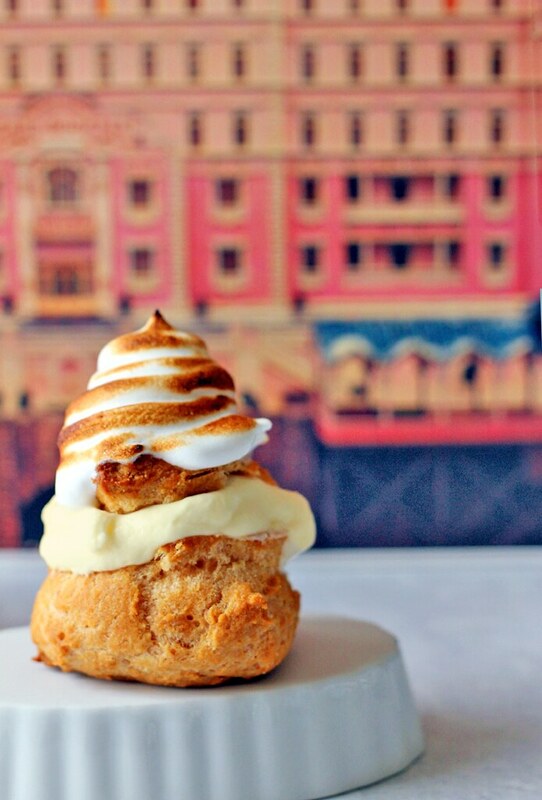 When the sugar has turned golden brown, remove it from the heat and pour in the cream in a slow, steady stream, whisking to incorporate thoroughly. Add a very small pinch of kosher salt and whisk once or twice more. If any crystallization occurs, place the caramel back over medium heat to melt. When finished, caramel may appear thin, but it will thicken as it cools. To make the buttercream, begin by combining the sugar and egg whites in a medium metal bowl and place over a pot of gently simmering water. Whisk the sugar mixture constantly until it becomes smooth and shiny. Continue whisking until the mixture reaches 160 degrees F, then remove the sugar mixture from the heat and pour into the bowl of a stand mixer. Whisk on medium speed for about 5 minutes until the mixture has cooled. You can test this by feeling the side of the bowl. Your egg whites should be smooth, shiny, and peaked. Next, switch to the paddle attachment and with the speed on low, add the room temperature butter one piece at a time, beating until smooth. Do not add too much butter too quickly, or beat the mixture at too high of a speed, or the buttercream may break. When all the butter has been added, switch back to the whisk attachment and beat the buttercream on medium-high speed for about 6-10 minutes until it is very thick and smooth. If it appears to separate briefly, continue beating and it should come back together. If at any point you get true separation – you’ll know because it will look like a horrifying mess of watery liquid and big globules of fat from the butter, don’t panic. Scoop out about half the mixture and warm it in the microwave for a minute or so. Add it back to the mixer and beat on medium, graduating to high, and it should all reincorporate. Once the buttercream is ready, stream the caramel into the buttercream and beat to combine. If the caramel has cooled too much in the meantime, or has solidified, just give it a gentle heat on the stovetop. The buttercream is now ready to go. If you’re not going to use it immediately, place a piece of plastic wrap against the surface until you are ready to use it, to prevent it from drying out. When you’re ready to fill your whoopie pies, separate out the buttercream into four containers and tint each one to the desired hue of pink, blue, black, or purple. 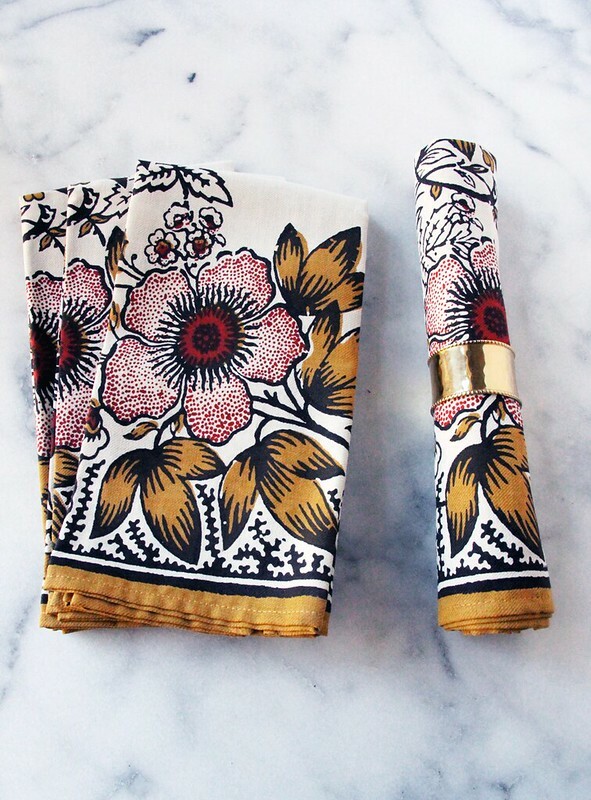 Fit a pastry bag with your tip of choice, then fill the bag with alternating tablespoons of each color. Once filled, I used the dull end of a skewer to push down inside the bag and gently blend the colors. Be especially careful if you’re using a plastic, disposable pastry bag, so you don’t risk puncturing it. 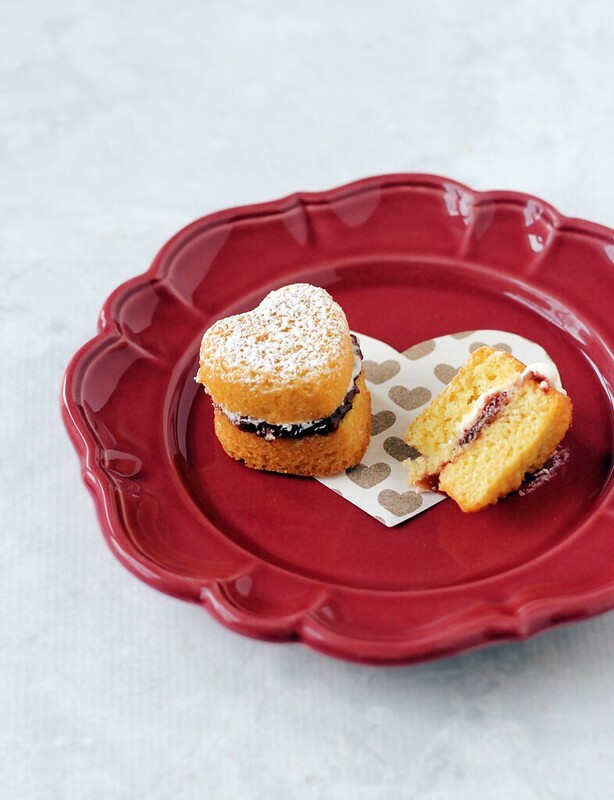 Test your buttercream by piping a few stars and swirls on a paper plate or napkin. 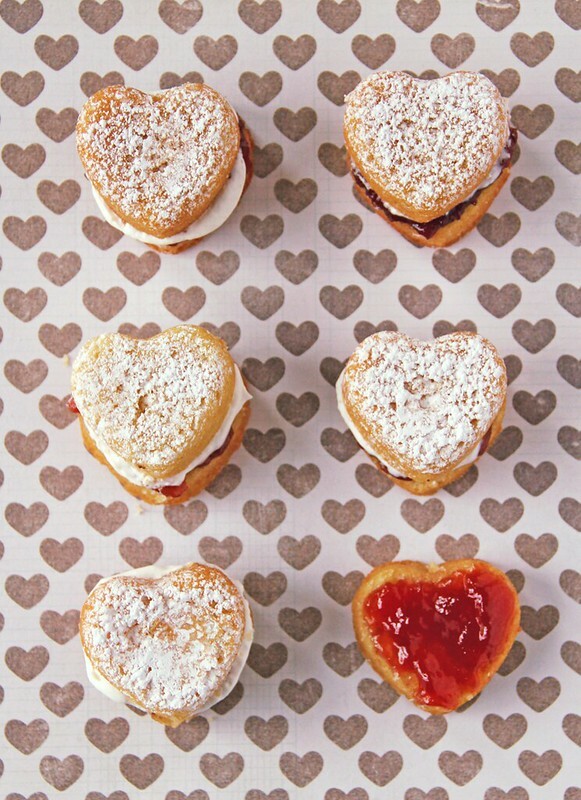 You’re ready to fill the whoopie pies when multiple colors emerge at the same time. 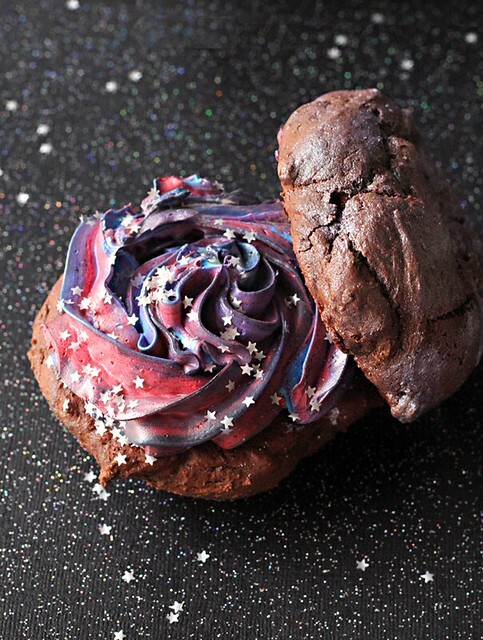 Fill each whoopie pie with a generous swirl of galaxy buttercream, then pop a lid on and decorate the top to your heart’s desire with pearlescent dust, edible glitter, or just leave them plain – they’re pretty as a peach no matter how you finish them. Every year when I was a kid, I could count on two things in my Easter basket – marshmallow eggs and maple cream eggs. Each served different purposes. The maple cream Easter eggs were my favorites and what I squealed over even more than finding plastic hidden eggs that held a dollar bill or a tiny toy. The marshmallow eggs were nothing I ever fancied and always found their way into the freezer for my parents to eat instead, transformed into cold little disks to snap between their teeth once I was out of sight. It was more a familial basket in that way. But maple cream Easter eggs aren’t always easy to find now, even at Easter. Russel Stover’s makes some yummy ones with a whipped center, but the ones of my childhood were filled with a dense maple filling that resembled a kind of almost nougat. Searches for recipes that might replicate these candies all included nuts in the filling, which sounds delicious, of course, but wasn’t what I was seeking. 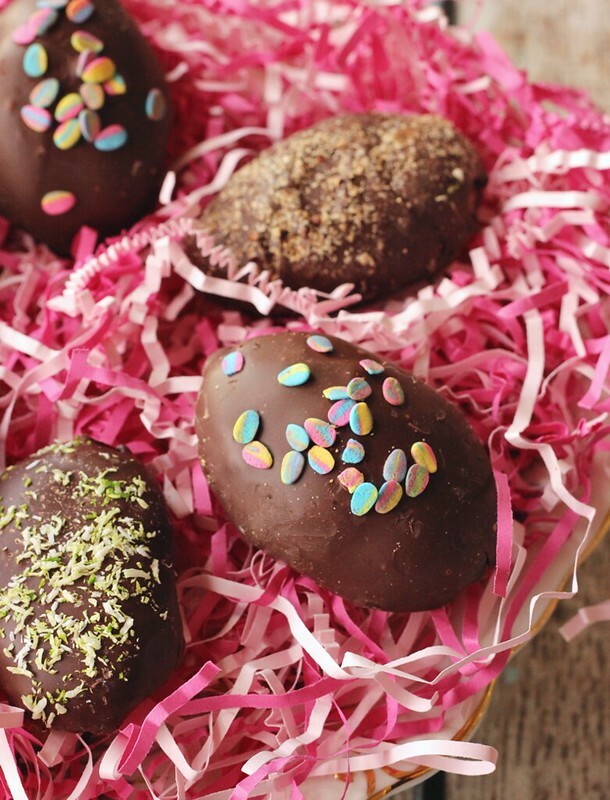 After getting some inspiration from recipes for what’s known as butter cream eggs and which are, apparently, a really big thing at Easter, I thought I’d try a modified maple variety – and they did not disappoint! 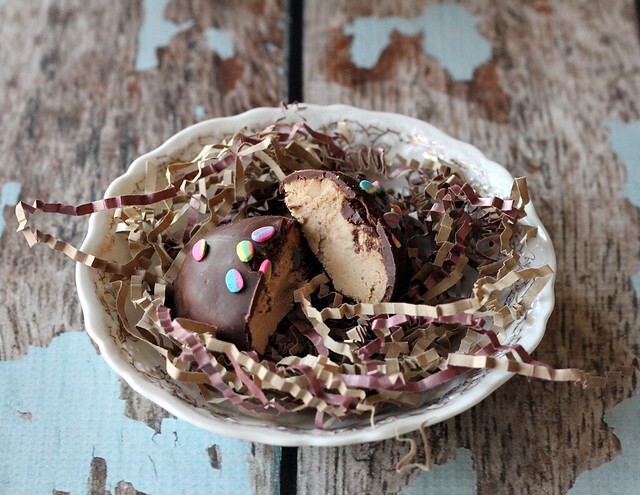 These maple cream Easter eggs combine some of the very best things in life – sweetened condensed milk, butter, maple extract – along with confectioner’s sugar and a little bit of corn syrup to get a soft, pliable dough that can be easily shaped into eggs, balls, or rolled and cut out with a cookie cutter. I recommend going small on these. I made rather large eggs, I think, because I had Reese’s peanut butter eggs in mind and they’re about 2-3″. The filling in these is much sweeter, so when I make these again, I’ll probably halve the size of each egg because they can overwhelm you quickly. 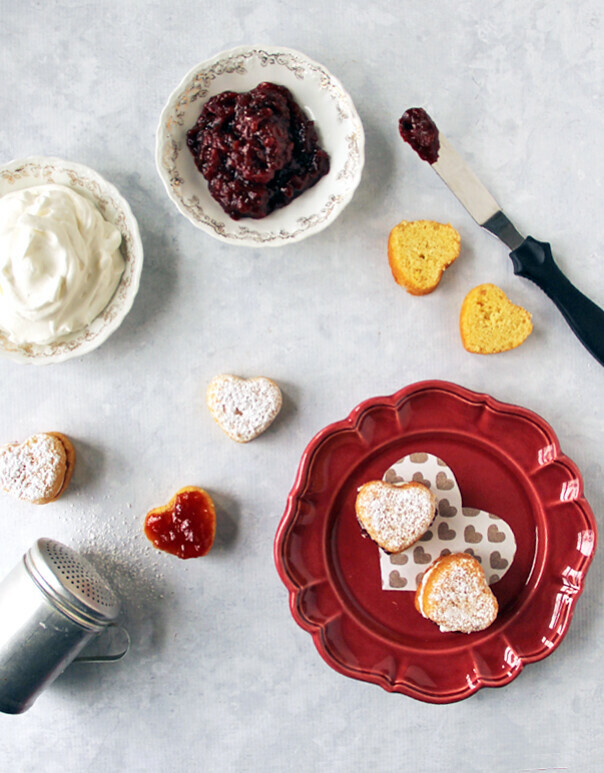 Keeping a small bowl or shaker of powdered sugar around as you handle the dough is essential to keep the dough from sticking to you and everything in its immediate vicinity. When the eggs have had a chance to chill and firm up in the refrigerator, they get submerged in a bath of melted bittersweet chocolate and then garnished with whatever you can dream up. Bear and I decorated these together, which was a comedy of sorts because we’re both pretty messy cooks. 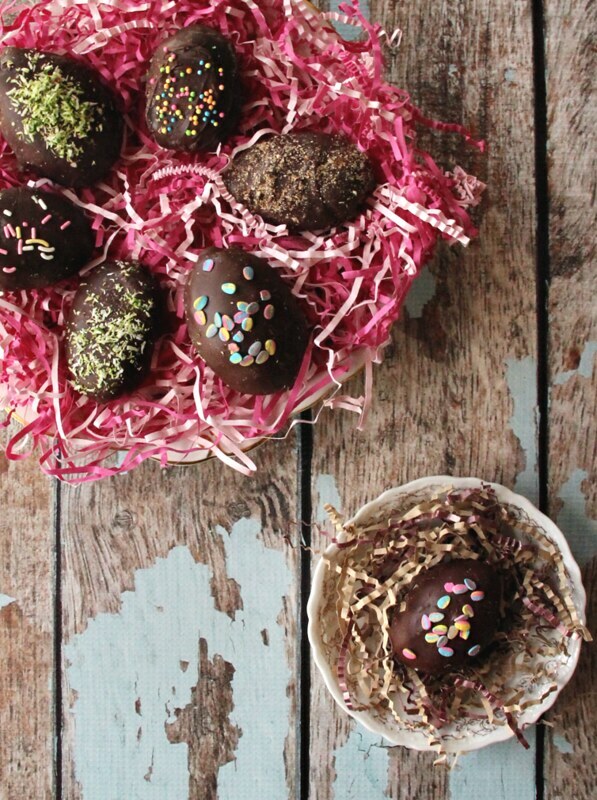 We used toasted, chopped pecans, some tinted, unsweetened coconut, and a host of pastel sprinkles I had lying around from the Coconut Chocolate Peeps I made two years back. Needless to say that these toppings were all over the kitchen by the time we were done and I can’t begin to recount all of the weird places we found melted chocolate after. 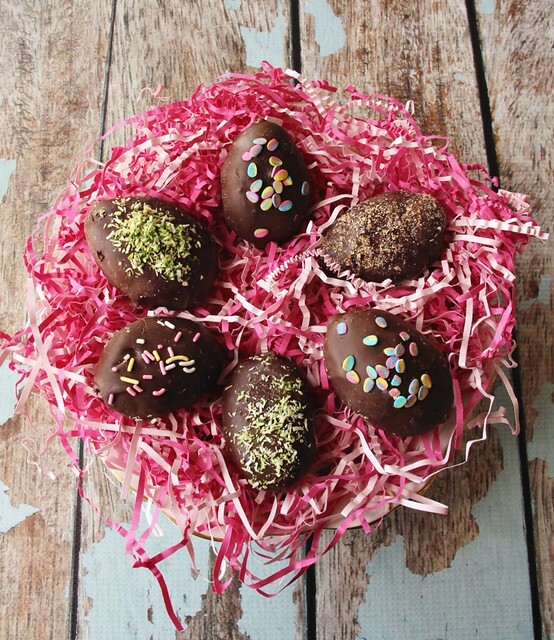 These maple cream Easter eggs came out pretty as a picture though and, more importantly, are a delicious Easter treat to share – or not! Yields approximately 24 2-inch eggs; modified slightly from here. Toppings of various kinds: sprinkles, chopped nuts, coconut, candies, etc. 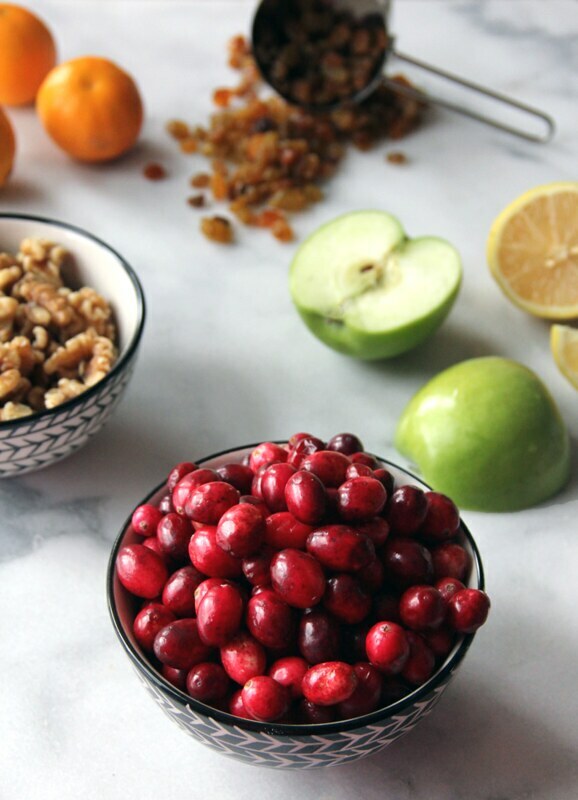 In a mixing bowl, combine the first six ingredients and mix thoroughly. Chill the dough for a half hour then remove from fridge, scoop, and shape into eggs, placing them on a parchment-lined baking sheet. You can decide how big you’d like the eggs to be. Mine are about 2 inches long here, but moving forward I’d make them about half the size because of how sweet they are. 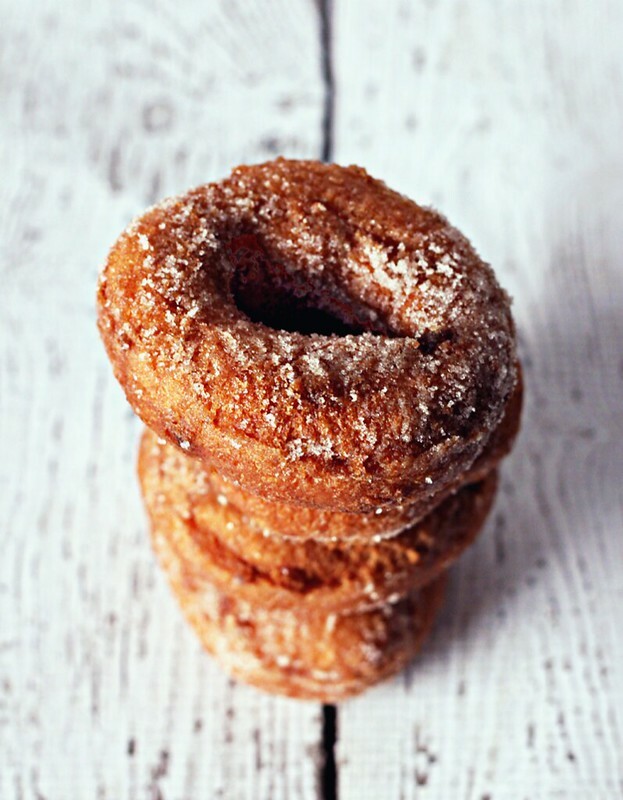 Be sure to dust your hands with confectioner’s sugar as you roll to prevent the eggs from melting into your hands. When your eggs are rolled into shape, chill for an hour. You can roll your eggs 3-4 days in advance if need be and then dip once you’re ready. Fit a cooling rack inside of a baking sheet and lightly spritz the rack with cooking spray or grease it lightly with a little vegetable oil on a paper towel. When ready to coat your eggs, add 1 tablespoon of shortening, butter, or vegetable oil to the bottom of a small, microwave-safe mixing bowl and then add 1-1/2 cups of chocolate chips, followed by the remaining tablespoon of fat. Microwave for 10 second intervals, stirring after each, until the chips are completely melted and smooth. Submerge each egg in the chocolate and then lift out gently with a fork. 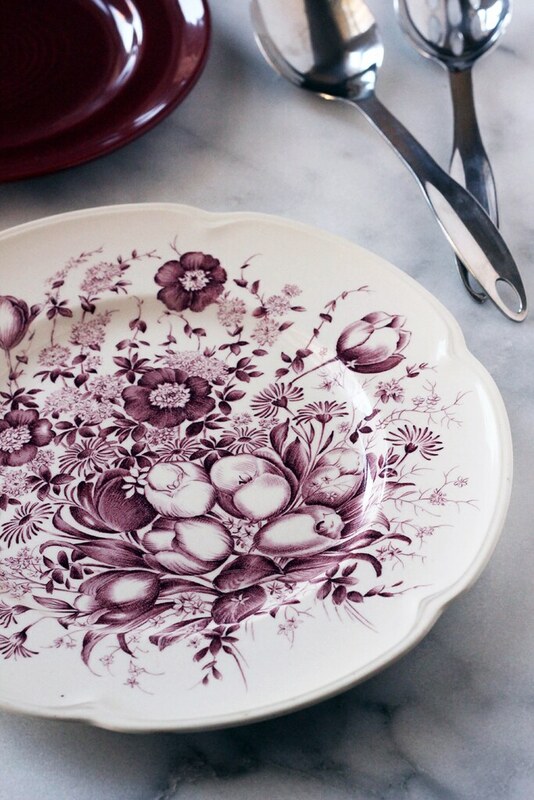 Tap the fork on the side of the bowl gently until excess chocolate drizzles off of your egg. Place egg on the greased cooling rack and immediately sprinkle with your desired topping. Repeat with remaining eggs. 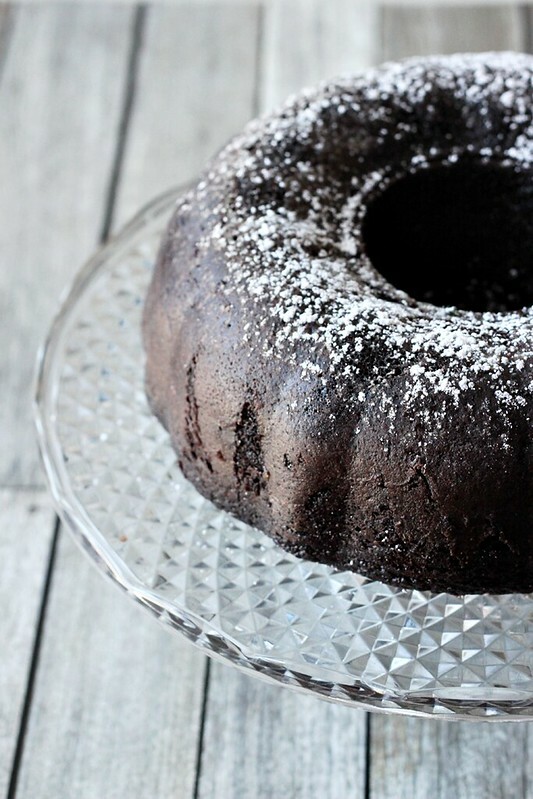 Allow chocolate coating to cure for an hour or two or until the chocolate is no longer tacky. Store in an airtight container with layers of wax paper or parchment between layers of eggs and keep in the refrigerator for up to 2 weeks. It’s that time of year again – Oscars season! 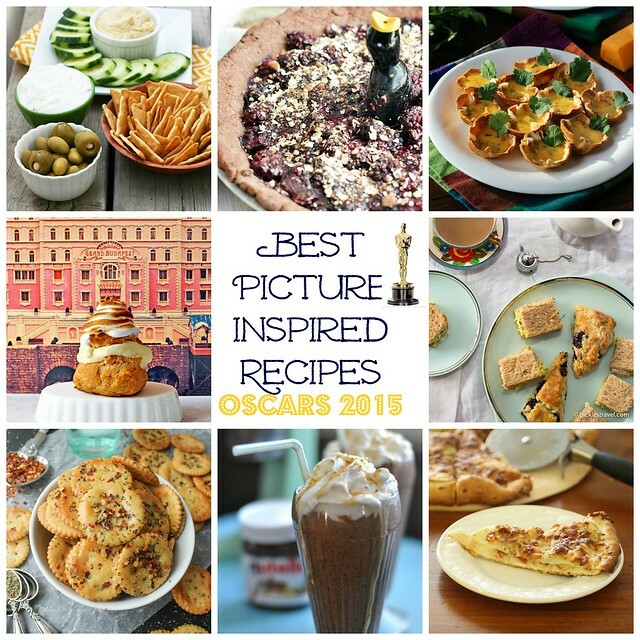 Once again, I’m thrilled to join Haley and a host of other food bloggers in coordinating a round up of Oscars-inspired recipes for 2016. This year, I was paired with the book-turned-film and romantic period drama, Brooklyn, starring Saoirse Ronan, Emory Cohen, and Domhnall Gleeson. Brooklyn tells the story of a young Irish woman, Eilis (Ronan), who immigrates to the United States in the early 1950s and falls in love with a charming, working-class Italian-American boy, Tony (Cohen). While a number of things punctuate their evolving relationship and cause Eilis to struggle with questions of “home” – where she ultimately wants to makes it and with whom – her’s and Tony’s love sustains. And that’s how we get here, to Chocolate Stout Cannoli – a recipe that merges Irish and Italian flavors that are bound to make you swoon! 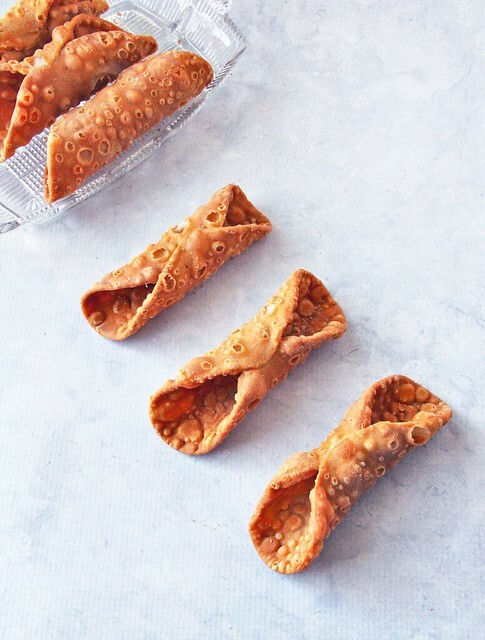 The trick to cannoli – and especially these, with the addition of a kind of stout caramel – is a little bit of planning and patience. They’re not complicated, but require you to put a little thought into them. If you don’t have the time to drain your ricotta cheese overnight or reduce your stout by two-thirds, maybe wait until you have a window to allow these things. 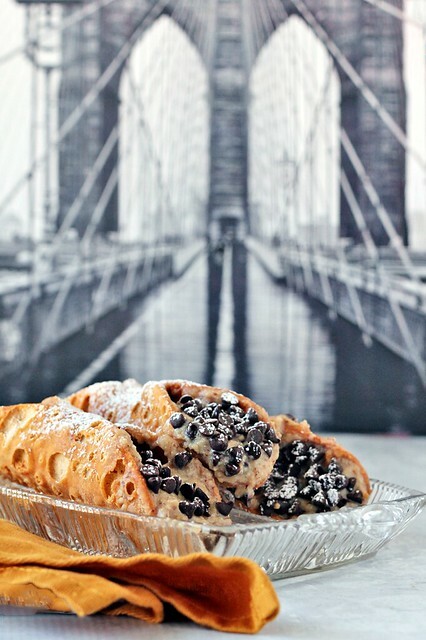 While runny cannoli filling isn’t the worst problem in the world – it is, of course, always tasty – you won’t be able to pipe and fill the shells to match the image in your head. Take the time with these; your patience will be oh-so-rewarded! Similarly, the stout reduction takes time and some attention, but don’t let that dissuade you! Reducing the chocolate stout and then adding honey to sweeten it causes it to form a soft, rich syrup that gets folded into your thickened ricotta filling and that is then joined by mini chocolate chips. The syrup gives the cheese a smoother, velvety texture and imparts a slightly hoppy, never bitter, flavor that plays really, really well with the semi-sweet chocolate. Chocolate stout cannoli are tremendously delicious and, I think, pretty unique! 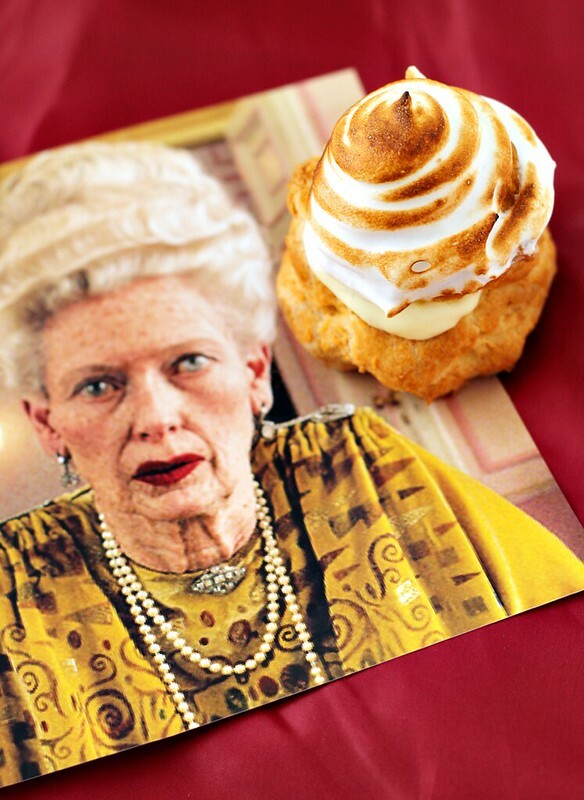 Consider serving them at your Oscars party as a sweet addition to the buffet – I promise that they’ll be a hit! On that note, I hope you’ll check out what the rest of the Oscar Blog Party contributors have made for the 2016 Academy Awards. I can’t get enough of the creativity in this group of bloggers and I think you’ll find so much inspiration in what they’ve imagined. 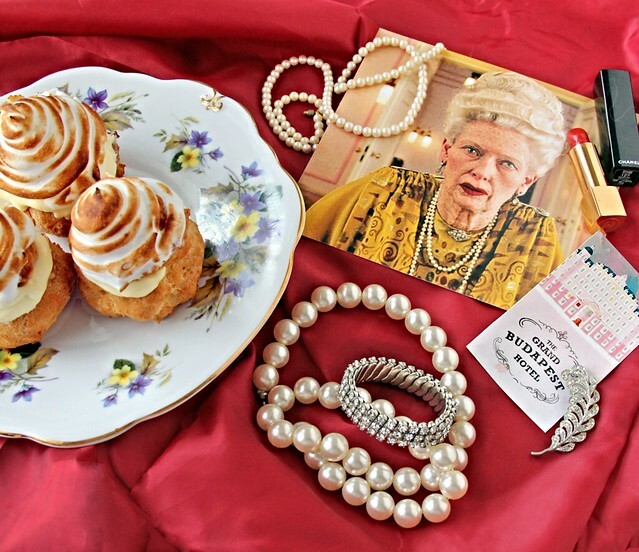 Check out our posts from last year here and our newest set for the 2016 Oscars below the recipe! Set up a fine mesh strainer over a bowl and pour the ricotta cheese into the strainer. Set in the refrigerator overnight to drain. 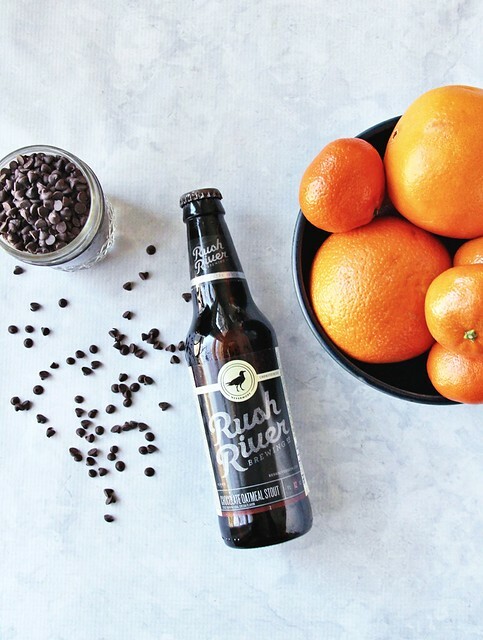 On the day you want to serve the cannoli, add the chocolate stout to a small pot and bring to a boil. Immediately reduce to a low simmer and allow to cook until the stout reduces by two-thirds, stirring occasionally. When the stout as reduced, add the honey and stir until dissolved. Once again, bring the mixture to a boil and then reduce to a simmer. 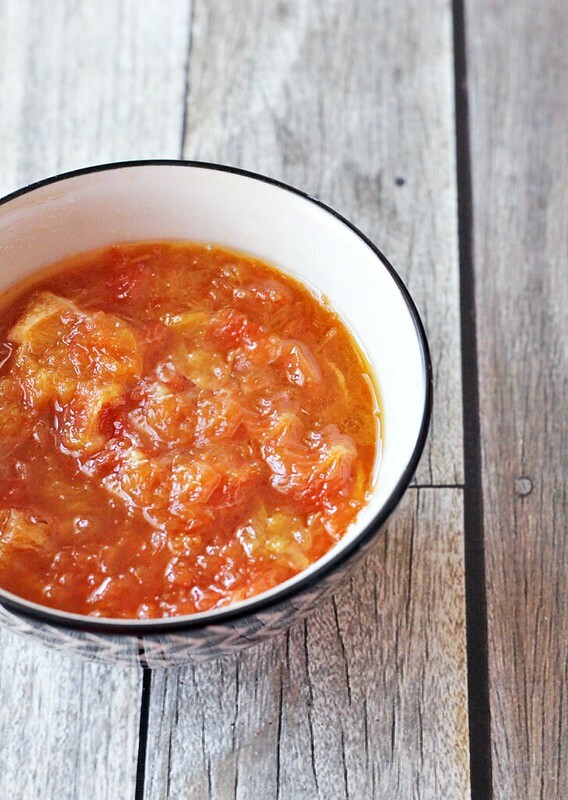 Allow to cook for another 10 minutes or until the liquid is bubbling thickly – keep an eye on it during this process. When the syrup has formed, immediately remove from the heat, stir in the vanilla extract, and set aside. 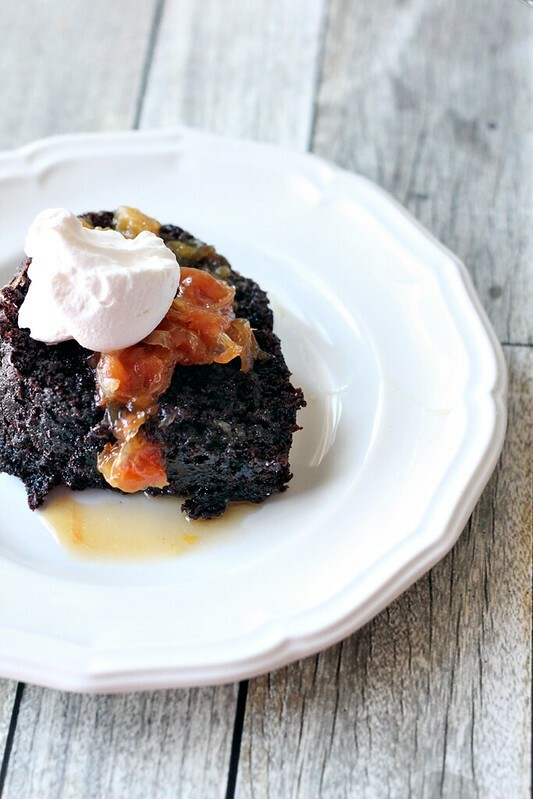 In a mixing bowl, spoon in your drained ricotta and incorporate the half cup of confectioner’s sugar. Add the cinnamon and orange zest. While it is still warm, add two tablespoons of the stout syrup and stir. Taste and add more if you’d like the addition of more of the stout flavor. You can really adjust this to your liking. Last, stir in a half cup of mini chocolate chips and then place the ricotta mixture into the refrigerator to chill for an hour. 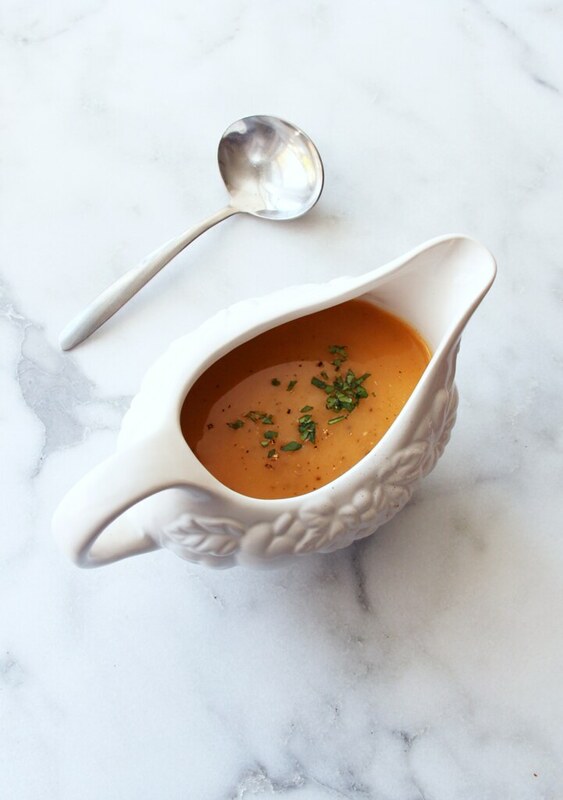 When ready to serve, remove the filling from the refrigerator and either spoon into a piping bag and fill with a flourish or load up the shells by hand with a long-handled spoon. 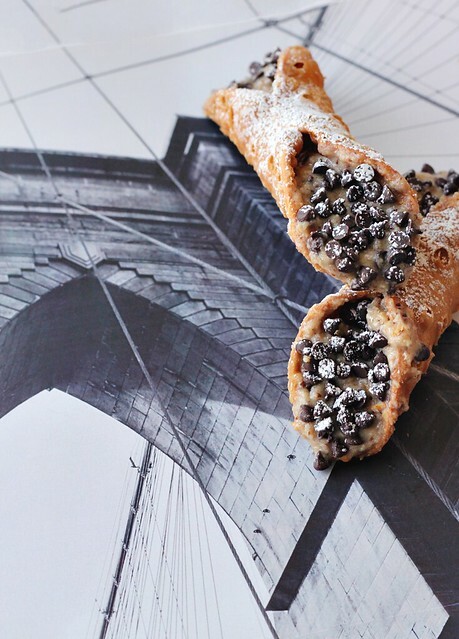 You can dip the ends of your cannoli into the remaining mini chocolate chips should you wish. Serve immediately. 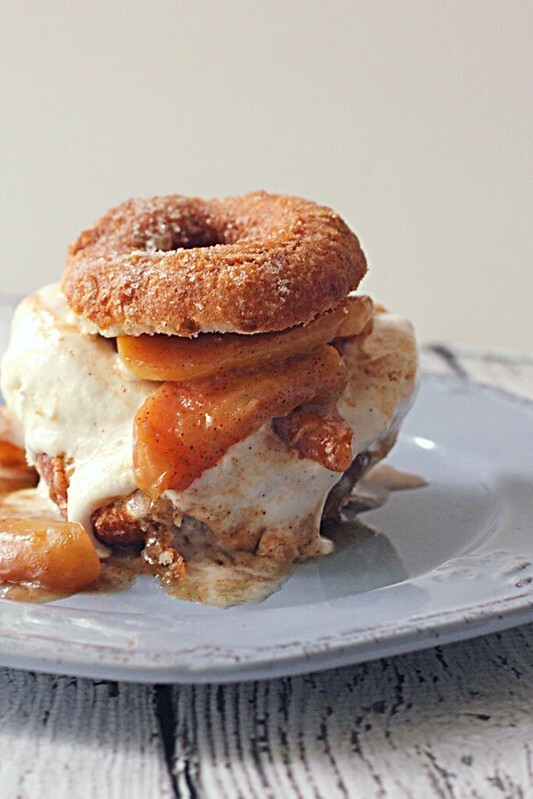 To take one look at this blog, you’d think it was focused solely on desserts these days. 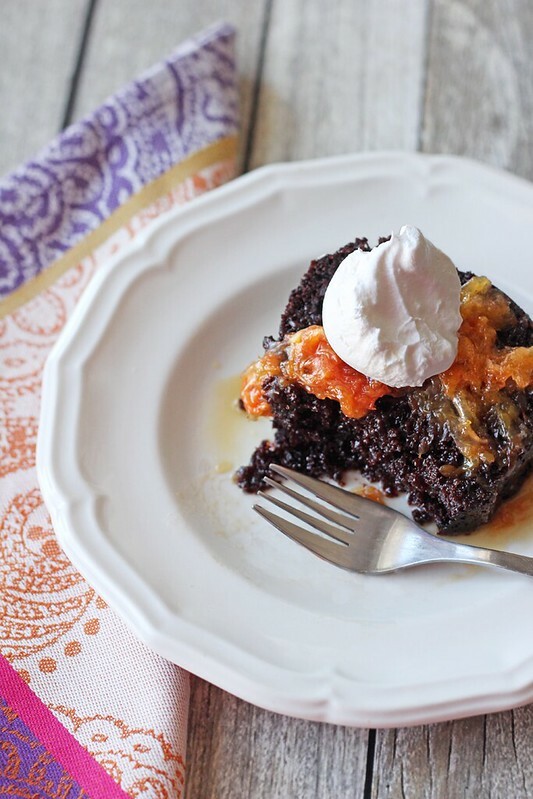 Recent posts have included, cider donut shortcakes, cookie butter buckeyes, chocolate cake with burnt oranges – Mom, I promise we’re eating real food, too! Just last week we had escarole and white bean soup one night and Bear made chicken, sweet potato, and kale enchiladas the next. It’s fall, though, and with it comes the push for food that comforts and that wows a holiday crowd. Which is what we have here – a real showstopper of a dessert for either Thanksgiving (or Friendsgiving if that’s more your speed, as it is mine) or the winter holidays: Pumpkin Spice Cookie Butter Pie! Whaaaaaat? You didn’t know Trader Joe’s has updated its year-round classic cookie spread and infused it with the official flavor of Fall, pumpkin spice? Let me save you any question that this might not be the most perfect marriage – it is on par with love of Beyoncé and Jay-Z. If you’ve never had cookie butter – or speculoos spread, as it’s called in most of the world outside of the U.S. – it’s ground, spiced graham cookies that are crushed and blended to form a thick peanut-butter-like paste. 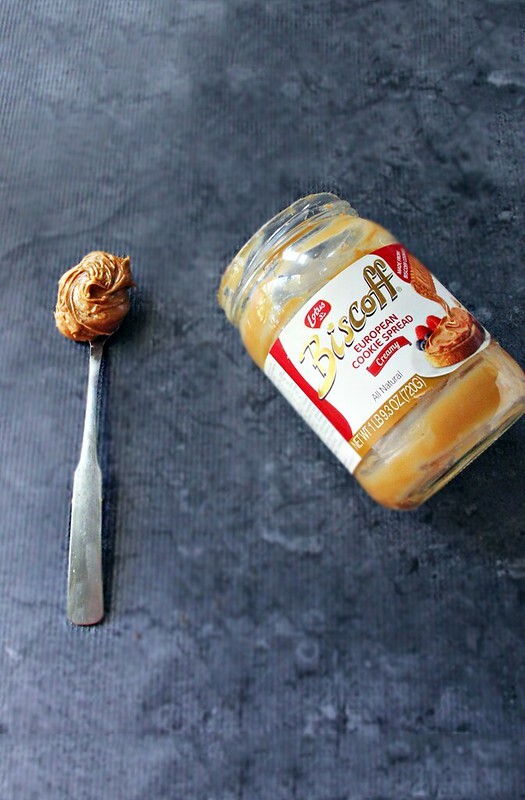 My personal favorite part of speculoos spread, or cookie butter, are the little tiny crystals of undissolved cookie throughout – it takes any apple slice, waffle, or PB&J to another level. When I saw this Pumpkin Spice Cookie Butter at Trader Joe’s a few weeks ago, I figured we’d just eat it as is, spread on whatever vehicle selected to get it into our mouths fast enough. “Maybe,” I said to a skeptical-of-all-things-trendy Bear, “we can blend it into a smoothie with bananas!” But once home, I found myself thinking of something seasonal to do with it. 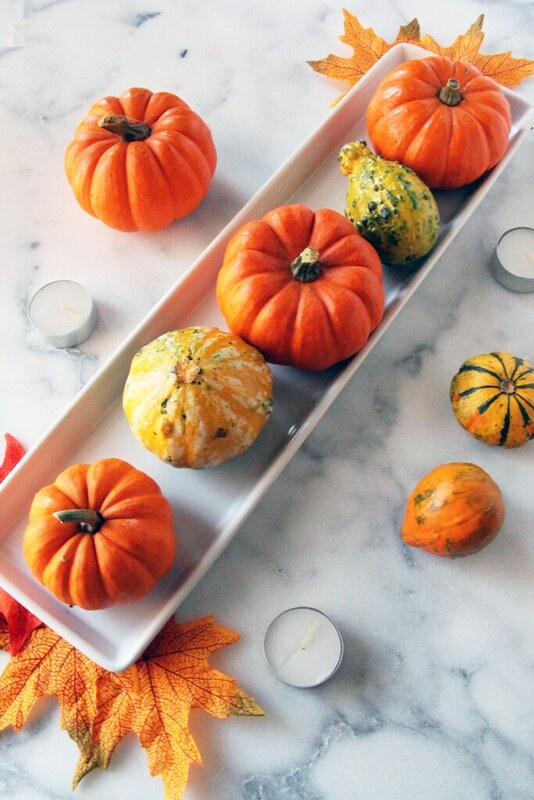 It is pumpkin spice, after all, and we’re coming up on holidays where you might need to bring a dessert to a party. Sure, you could bring a traditional pumpkin pie – they’re delicious – but you could also bring a Pumpkin Spice Cookie Butter Pie that tastes like the old standard and gingerbread cheesecake had a baby. I vote for the latter! While this certainly isn’t my prettiest pie crust (don’t be like me and forget to chill your pie dough before you bake it), it hardly even matters when you have a filling this good. Cream cheese adds a velvety-ness to the mix and a slight tang, while freshly blended and barely sweetened whipped cream lightens things up to a beautiful not-quite-airy, but mousse-like texture. If you’re looking for a little something different in a Fall dessert, try this pie – it’s creamy and dense, easy to make-ahead (pop it in the fridge or freezer), and a delectable new version of a Fall classic. In a medium mixing bowl, combine the heavy cream and the granulated sugar and whip until peaks form; the peaks should stand on their own when the beaters are removed. Refrigerate the whipped cream while you prepare the next step. 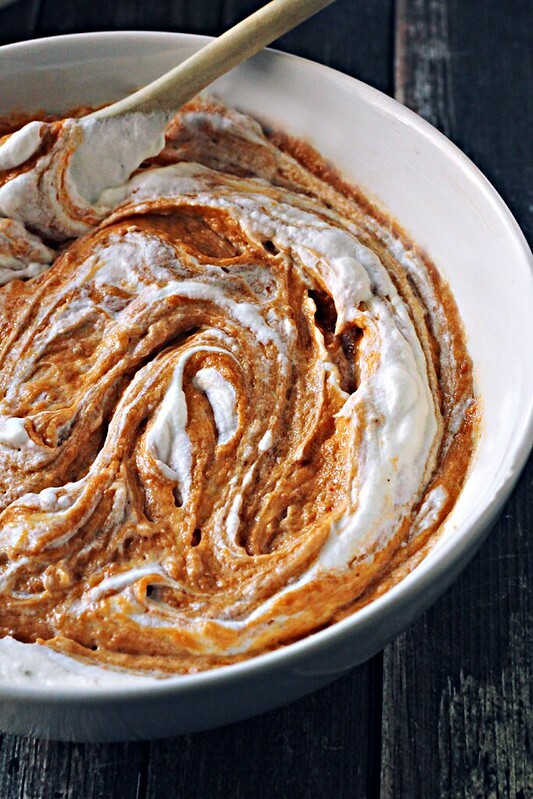 In a larger bowl, use a hand-mixer to combine the cream cheese and the pumpkin spice cookie butter. Once combined, slowly add in the cup of confectioner’s sugar and blend completely. Remove the whipped cream from the refrigerator and fold two-thirds of it into the cookie butter mixture. Be gentle so that some of the air of the whipped cream is left behind and aerates the pie filling. Once combined, pour the mixture into the pie crust and allow to set for at least 2 hours before serving. 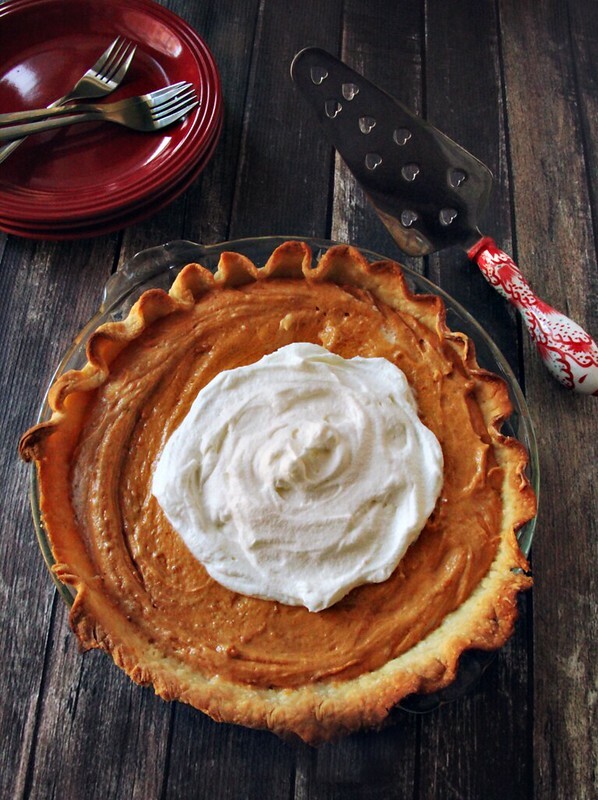 You can use the remaining whipped cream to top the pie or serve on the side. Refrigerate leftovers for up to 5 days. This pie can be made up to two days in advance if kept in the refrigerator and can also be frozen two weeks prior to when you might need it. To make 2 days ahead, fill the pie crust, but do not add the whipped cream. Wrap tightly with foil and keep cold in the back of your refrigerator. Prior to serving, make fresh whipped cream for top. If freezing, fill the pie crust and skip the whipped cream on top. Wrap the pie tightly in plastic wrap and then again in heavy-duty aluminum foil to keep out frost – the double layer of protection is a must. Defrost on the counter for an hour before serving and make fresh whipped cream to top. Fall has just begun here in Minneapolis and with it comes the updating of the pantry and the cupboard. In our house, that means bagging up the excess charcoal and stowing it in the basement storage unit, securing the melon baller in its spot in the back of the utensil drawer, and switching out the deviled egg plates for the muffin tins in the cabinet above the refrigerator. It’s fall, y’all, and we have this reorganization ritual of mine to thank for these cookie butter buckeyes. 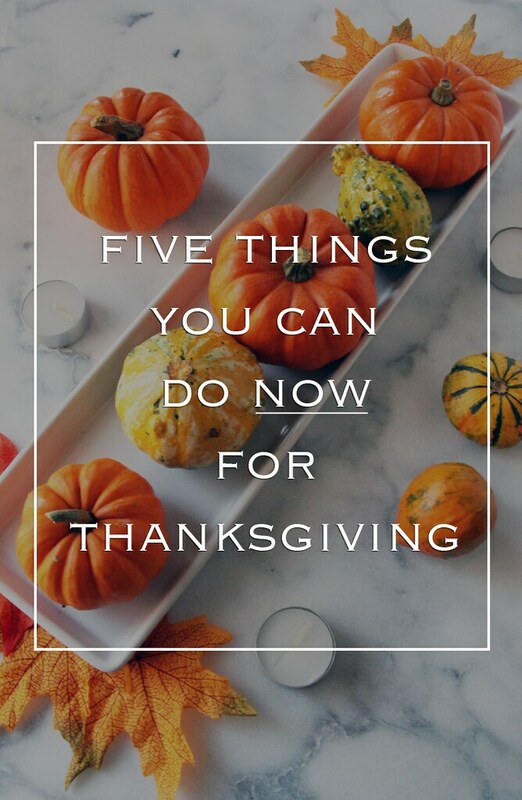 Had I not been doing the delicate dance of rehoming the barbecue tongs at the tip-top of the pantry, to make room for the slow cooker on a lower, more accessible shelf, I wouldn’t have peered in the deep recesses of my pantry a half-full jar of Biscoff spread wedged in the corner by the Thanksgiving platter. What? You don’t have a Thanksgiving platter? That’s neither here nor there, I suppose, what you serve your turkey on is your business. Let’s get back to the Biscoff, yes? Using a remaining cup and a third of cookie butter is hardly a nightmare – heck, on a Monday I could eat that after dinner straight out of the jar. The stuff, generally, doesn’t stand a fighting chance here between me and our most darling fat cat who likes to delicately lick it off the top of my finger while gently steading the back of my hand with his mighty paw. Bear said I couldn’t feed it all to Ollie, though, so here I was with a jar of cookie butter and I couldn’t remember when I had bought it, how long we’d had it, and this lit a fire in me to figure out a way to use it right away. I’ll admit, it didn’t take a lot of imagination to follow a trusted peanut butter buckeye recipe and substitute cookie butter. I added a little extra cinnamon in these just to get more of that spiced Biscoff flavor to come through against the sweetness of the semi-sweet chocolate, but otherwise these are your familiar, creamy, cozy buckeyes with some, appropriately, fall flavors. A perfect treat for a drive through the foliage, a picnic in the leaves, or alongside a mug of hot, steamy tea after a long day. 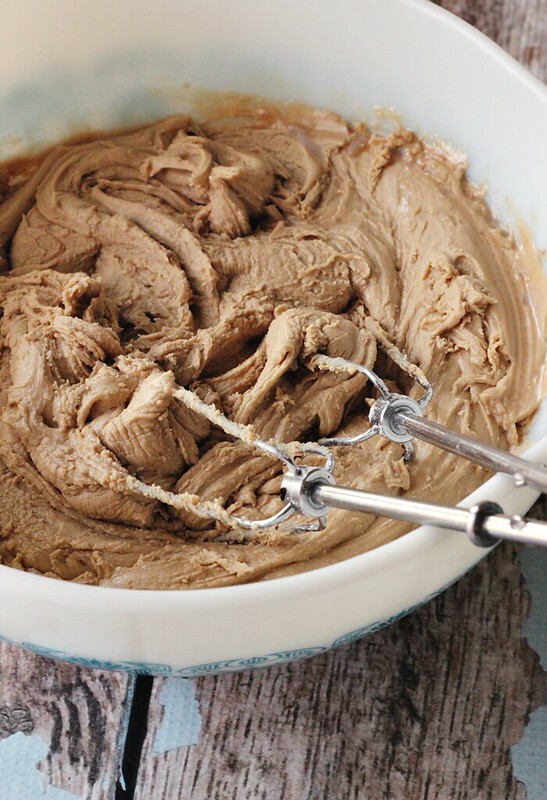 Wipe off that Thanksgiving platter and lace up your boots – cookie butter buckeyes are your new fall BFF! Combine the cookie butter and softened butter in a medium sized bowl with an electric mixer until thoroughly incorporated. Add the vanilla extract and the ground cinnamon and mix to combine. Slowly add the confectioner’s sugar bit by bit with the mixer on low. Once all of the confectioner’s sugar has been integrated, the mixture will resemble coarse crumbs, but will hold together when pressed together. Form 1-1/2″ balls with your hands and set on a baking sheet lined with parchment or a silicon baking mat. Place the sheet tray into the refrigerator for a half hour to allow the balls to firm up. In the meantime, slowly melt your chocolate over a double boiler or in the microwave, checking it every 10-15 seconds. Use bar chocolate here, as chocolate chips have stabilizers in them to keep their shape and they don’t melt as smoothly; in my experience, they seize and burn faster too. Once the chocolate has melted, remove it from the double boiler or microwave and take the buckeyes out of the refrigerator. Insert a skewer or toothpick into the top of the ball and gently dip it into the chocolate, swirling as you go. This will cause the chocolate to come up the sides of the ball, forming the buckeye’s distinct exposed cookie butter center and perfectly coated sides. 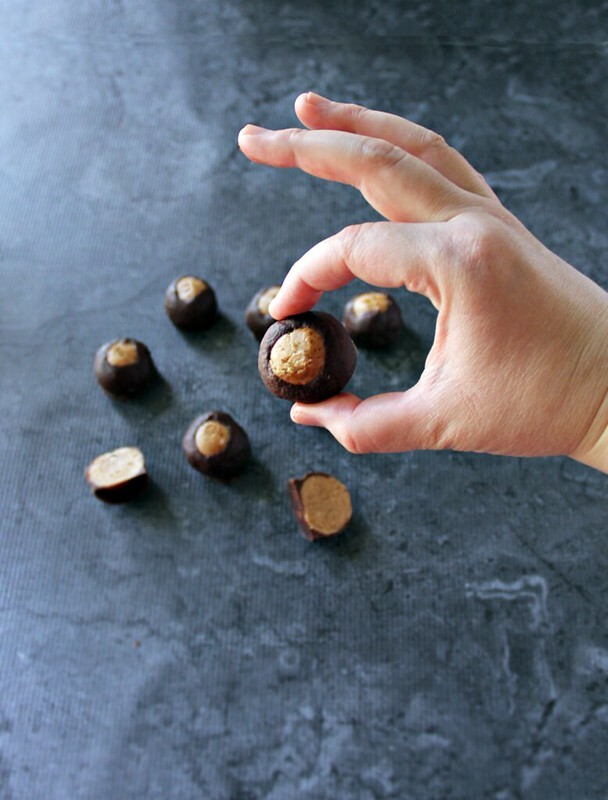 Place the buckeye back onto the baking sheet and remove the skewer gently. Smooth over the remaining hole from the skewer over with the tip of a butter knife (optional) and continue. When all the buckeyes are coated in chocolate, return the buckeyes to the fridge to set. When the chocolate has hardened, store in an airtight container in the fridge up to two weeks.